A scenic pass much loved by motorcyclists and roadtrip enthusiasts, McClure Pass functions as a highlight on the road to bigger adventures. Scenic Mountain Pass located on Highway 133 between Carbondale, CO, and Somerset, CO.
Found within White River National Forest boundaries, providing access to hiking, horseback riding, fishing, skiing and snowshoeing. Historic Town of Marble, located due east, accessible from the northern base of the pass. The town of Aspen, within an hour's drive. While recreational access of many kinds can be found in the greater area surrounding McClure Pass, it is not regarded as a hot spot for travelers. With this said, the locals of Somerset and Carbondale will surely be able to recommend favorite gems for hiking, fishing, and cross-country skiing. And, the town of Marble, one of Colorado's many "ghost towns," boasts a proud tourism industry, providing a look into Western America's mining past. To enjoy a traverse of McClure Pass, the western gateway to the Elk Mountains, head south at the junction of Highway 82 and Highway 133 in the town of Carbondale, CO, just twenty miles from Aspen. The length of highway boast 8-9% grades at its steepest stretches, providing certain thrills at the relatively low altitude of 8755 feet. Unlike the nearby Independence Pass, McClure Pass does not offer a bounty of designated and maintained hiking trails, though potential for recreation does exist. As the pass does separate the headwaters of the Crystal River and those of the North Fork Gunnison River, trout fishing should prove a fruitful mission. For more information about licensing and river access, call Division of Wildlife at (303) 297-1192. Your best bet, if your heart is set on exploring the area, is to stop and ask a local for advice. As mentioned previously, the town of Marble offers an intriguing detour off the McClure Pass road (Hwy 133). Approaching from the north, follow signs for Marble at the base of the pass, about 5 miles from Carbondale. The town, nestled in the Crystal River Valley, was incorporated at the turn of the twentieth century and became the site of a marble quarry that produced the white marble used for historic landmarks such as the Lincoln Memorial and the Tomb of the Unknown Soldier. With the onslaught of World War II and the plummet of demand for marble, the once-busy mill closed, along with the quarry. Remains of the mill still stand for visitors to admire. Visit http://www.marbletourismassociation.org/ for more ideas about things to do in the historic town of Marble. 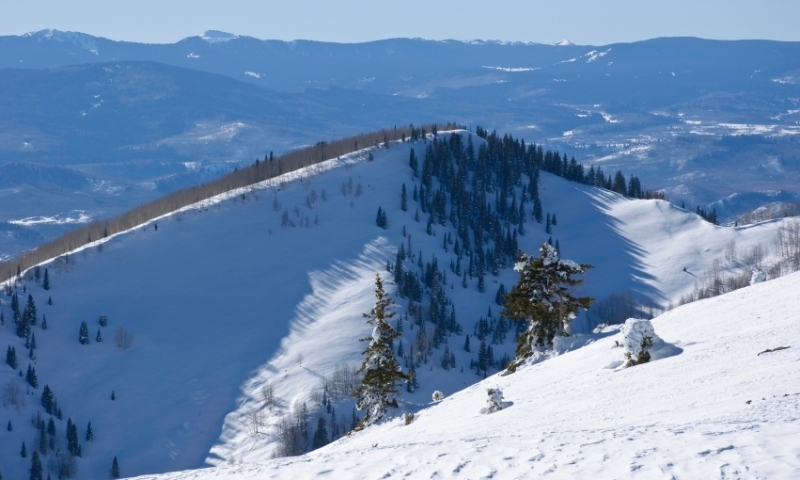 Ragged Mountain Road: A popular spot for cross-county skiing, this ungroomed trail begins at the summit of McClure Pass and extends about five miles. A parking area can be found on the south side of the highway. This logging road provides a gentle uphill grade. Be sure to respect private property, along the trail, and be avalanche aware, as the snow may be quite deep the further one travels. Spring Gulch Nordic Trail System: While not located on McClure Pass, for those traveling to or from Carbondale, this system of trails, maintained by a local non-profit and free of charge for users, can be found just seven miles southwest of the town of Carbondale on Thompson Creek Road. Trail maps and current trail conditions can be found at www.springgulch.org. Dogs are not allowed. McClure Pass stands as one of the lowest altitude mountain corridors in the State of Colorado, allowing for general thoroughfare during all four seasons. Closures are sporadic, depending on snowfall in the winter months. Visit www.cotrip.org or call (303) 639-1111 for updated road information. Breathtaking off-road route near Telluride Colorado. High mountain pass near Crested Butte, Colorado.